Is Great Guitar Tone Within Your Reach? To get Great Guitar Tone, sometimes you have to go all the way back to the fundamentals to actually realize critical factors you may have overlooked. Factors that could be game changing differences… Getting Great Guitar Tone is like that. When you begin to realize just how many things actually affect the tone of an electric guitar, it opens up so many areas of experimentation. Getting Great Guitar Tone doesn’t have to be difficult to achieve. It’s all within the way you’re building it, and how trained your ear is to successfully test and analyze multiple variations of methods, techniques, modifications, and combinations. Example 1: Are you building your guitar tone with distortion boxes and multiple effects etc…? Or are you building your guitar tone by plugging a great guitar into a great amp into a great speaker cabinet? Great Guitar Tone Starts With A Great Sounding Guitar, Plugged Into a Great Sounding Amp, Through a Great Sounding Speaker Cabinet. If you can simply just get these three things right… You’re GOLD! Why? Because this is your core sound. You need to develop your core sound before you can successfully add seasoning to the mix. There’s nothing wrong with adding seasoning to the mix, but you have to be sure you’re using the right amounts for the right reasons to get great guitar tone. The key is to determine which guitar is going to be your main workhorse. Then, you’ll want to know what kind of wood combination you want. This can really make a big difference in creating great guitar tone, but yet it’s one of the most overlooked factors of actually achieving great guitar tone. Example 2: If you played a guitar with a solid maple body, and a solid maple neck, you’d notice a huge difference in that sound compared to the exact same guitar made from a mahogany body, with an ebony fretboard. The maple guitar will be much brighter sounding and the mahogany will be much darker sounding. When you get familiar with the different woods and their unique tonal quality, you’ll then be able to make the best educated decision for your “main great sounding guitar”. Next, you’ll need to decide on what type of amplifier best fits the guitar tone you’re after. Achieving Great Guitar Tone Becomes Easier When You Understand The Core Elements. When choosing an amplifier there’s one major question that comes to mind from the very start… Tube or Solid State or Hybrid? This is a very subjective topic because it’s not a one size fits all situation. Certain styles of music it may call for more of a solid state type of tone… like thrash metal or industrial etc, but the direct opposite is true if you’re a traditional blues player, you’d most definitely want a creamy tube amp sound. Of course, there’s a whole spectrum of great guitar tone between those two extremes. You need to decide which fits your style best. So, with that in mind you’ll decide what type of amp, and then what brand of amp to best deliver the guitar tone. You’ll also need to know whether you want a 50 watt sound or a 100 watt sound. The difference can be quite surprising to say the least. You’ll get different characteristics out of a 50 watt amp that is kranked up, over a 100 watt amp that is barely turned up. Again this is a matter of personal preference, but both ways are commonly used. It’s True, Your Speaker Cabinet Makes A Huge Difference In Creating Great Guitar Tone. Whether you use a 1×12 cabinet or a 2×12 cabinet or the most common 4×12 cabinet, you’ll want to be sure you’ve loaded it with the best speakers to compliment your personal guitar tone. Example 3: If you want extra low end in your sound you may want a speaker that is designed to deliver extended range low end. Or, you may want a certain midrange frequency that cuts through rather than extended low range etc… These things make all the difference in choosing the right speaker to create your right sound. You’ll need to decide on the actual speaker box as well. Some speaker cabinets are slightly taller or wider, and also made from different types of wood. YES, the wood of the speaker cabinet actually makes a difference in the sound. If you have two identical speaker cabinets, and one is made from particle board, and one is made from quality solid wood, you ARE going to notice a difference in guitar tone. I’ll go out on a limb here and say… “try to avoid particle board if possible”. Removing The Wheels (Castors) From Your Guitar Cabinet Can Immediately Enhance Your Guitar Tone? It’s very true… and it’s something you can do right now to enhance the your overall guitar tone immediately. You’ll be pleasantly surprised by the difference it makes. You’ll notice more bottom end punch and clarity, and you’ll definitely feel it resonate through the floor due to the entire bottom of the cabinet making contact with the floor. Example :4 When you think about having wheels attached to the bottom of the cabinet, the only point of contact (from the cabinet to the floor) is the small little area under each wheel. When you compare that to the full bottom of the cabinet making contact, you can begin to see why it makes such a difference in creating great guitar tone. It resonates better. The same thing is true when you stack cabinets. You shouldn’t have wheels attached to either the top or bottom cabinet. Once you try this, and actually hear great guitar tone coming from the cabinet like never before, you won’t look back. The majority of the bands I see and work with, (throughout the club circuit) have cabinets with wheels attached directly to them, and are wheeled into position on stage each and every night the same way. They don’t even realize their loss of tone. There’s no problem with using wheels, in fact I recommend that you have a method of rolling your cabinets in and out of places. However, there are several ways of doing it without having wheels attached to the cabinet itself. You can simply make little carts that fit perfectly underneath the cabinet just for moving purposes, similar to the bottom of a flight case. 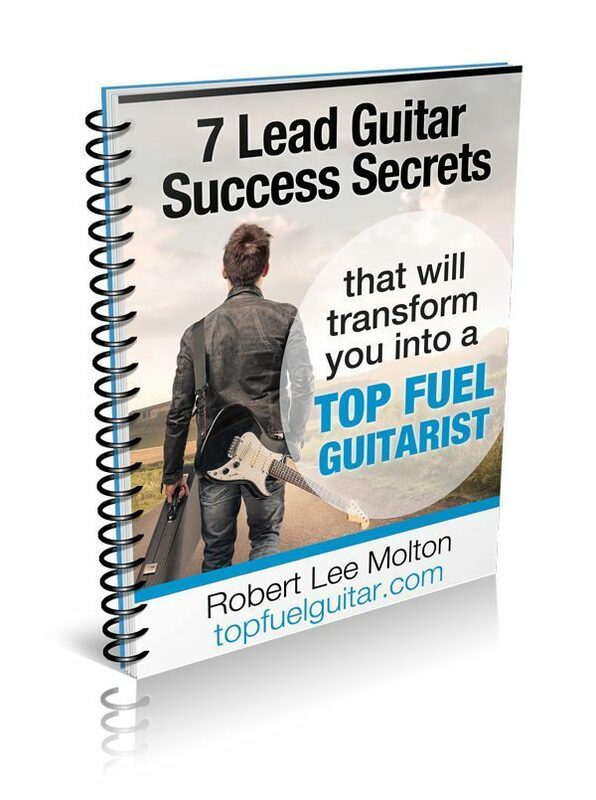 This will assure great guitar tone from your cabinets on every stage you play. This works great because you can wheel the cabinet anywhere you want, then simply set the cabinet in it’s designated area on the stage. When the show is over, set the cabinet back onto the cart and wheel it back into the loading truck. You’ll find tons of additional uses for those roll carts after the cabinets are placed. It’s well worth building a few, and it doesn’t take much to build them. As you can see there are 3 core elements that play a huge part in your guitar tone. 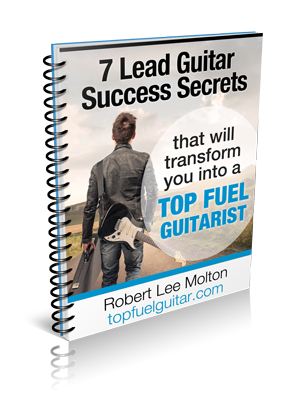 Now that you know exactly what they are you, you’re in a position to create the ultimate guitar tone for you, and have a great starting point to create great guitar tone with a focused plan. G﻿﻿﻿﻿et ﻿﻿Your ﻿﻿﻿﻿FREE﻿﻿ ﻿﻿﻿﻿﻿﻿﻿﻿﻿﻿﻿﻿﻿﻿﻿﻿﻿﻿﻿﻿﻿﻿﻿﻿﻿﻿﻿﻿Book ﻿﻿﻿﻿﻿﻿Now﻿﻿﻿﻿﻿﻿﻿! 100% Privacy. Your Info Will Never Given Out! © 2019 TopFuelGuitar.com. All Rights Reserved. Wait! Before you leave, get my free report. Enter your first name and email address in the form below and I'll send you my free report right away.